We walk the property, allowing you to direct us from one point of interest to another. We listen and observe until we have a gained a good understanding of your needs. We list the types of plants, trees, and flowers we recommend. We list the sizes and shapes of the beds we recommend. 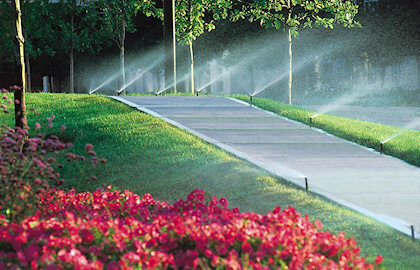 We detail additional requirements such as sprinklers, erosion control elements, and lighting. We provide diagrams and pictures to illustrate our ideas. We supply all of our crews with the best tools and equipment available so that we can maintain our superior quality standards. 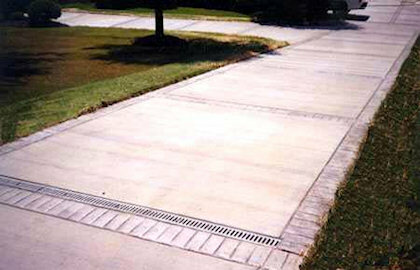 We follow a predetermined plan throughout the entire phase of the job. In order to be as efficient and to meet our completion deadline, we prioritize each task. 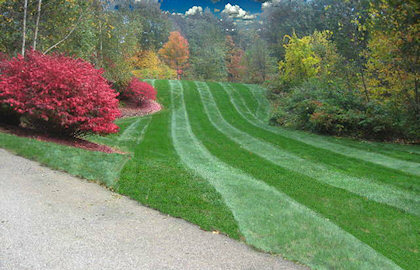 4 Seasons Outdoors provides Spring and Fall clean up, mowing, commercial lawn care, tree and shrub trimming, parking lot maintenance, sprinkler service and repair, snow removal, salting, erosion control, landscape and holiday lighting, and more. Call (810) 845-3543, (810) 252-0529, or contact us online to set up a free estimate for a commercial property landscape contract. 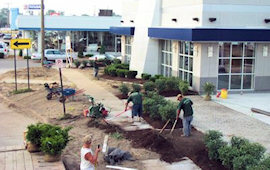 Call (810) 845-3543, (810) 252-0529, or contact us online to set up a free commercial landscaping service estimate.